When I’m not blogging, I’m bulleting. I have my trusty little red Leuchtturm 1917 with me wherever I go to jot down ideas, make little lists or keep track of appointments. There’s just something that I love about using my bullet journal and I can’t wait to share that reason with you…But first, let’s dive in and discover some of the best bullet journal products out there. While there are many on the market, there are some that are just a bit better than others. Below are my favorite bullet journal products. These are items I use almost daily to keep my life organized with a successful blog and three beautiful little kids. Without it, life would be a lot more disorganized and certain to be more stressful. Nobody wants to welcome stress into their life, right? If you’re looking for some top bullet journal products and ideas, you’re going to be head over heels for these awesome times. 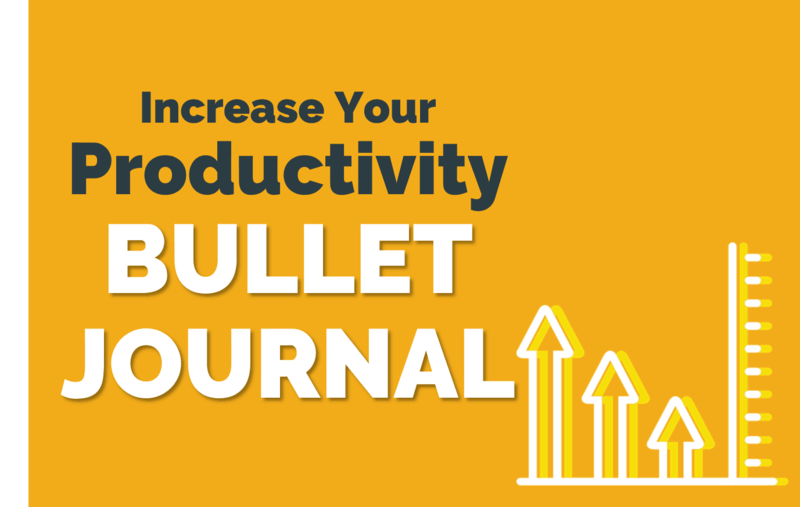 Bullet journaling is a simple yet sophisticated method of task management. You do not need lots of fancy supplies. 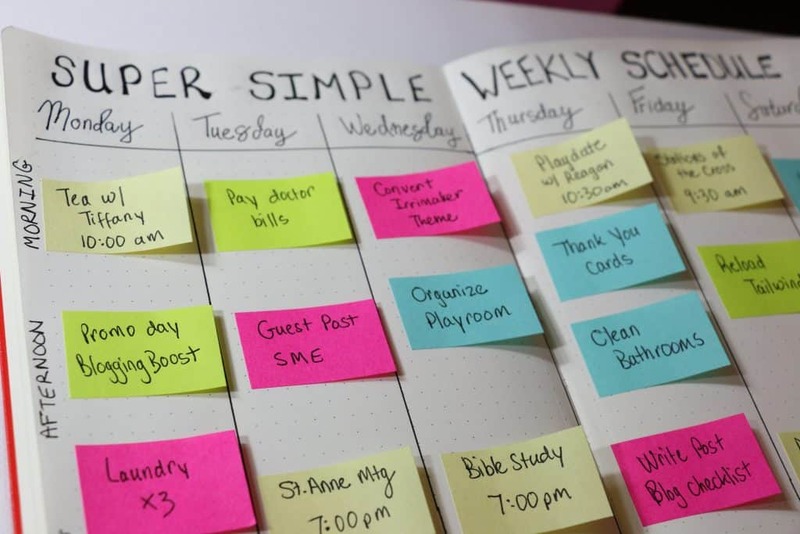 Instead of elaborate online tools, apps or products, the humble bullet journal becomes your one solution to manage our to do lists. It was developed by Ryder who lives in Brooklyn, New York. He struggled to focus when he was younger, and over time, he developed the bullet journal method. So if you need focus, why not give it a try? In essence, the bullet journal has three layouts. The Future Log: where you log big events and tasks by month. The Monthly Log: where you log your to do’s for a specific month. The Daily Log: where you track your daily tasks. Once a task is completed, you either cross it out, migrate it to the next day with a forward arrow, or migrate it to your monthly to do list with a backward arrow. You can see the how I do it below! 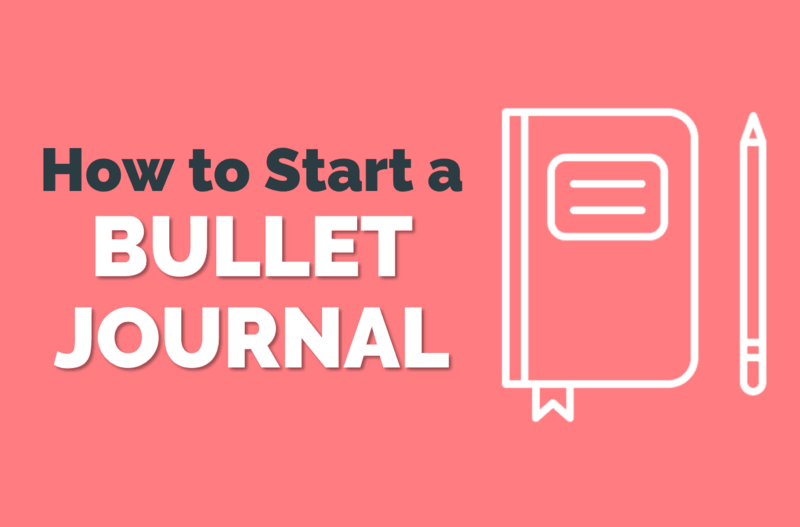 If you haven’t started yet, here is how to start a bullet journal. WHAT SUPPLIES DO YOU NEED FOR YOUR BULLET JOURNAL? There are tons of beautiful journals, pens, pencils, stencils and more that you can use in your bullet journal. But ultimately, you do not need any fancy products for your bujo. If you want bullet journal supplies, more power to ya! Just know that there isn’t any type of requirement for buying them! All you need is a notebook with bullets (which is super hard to find in any store – so I suggest using Amazon!) and a good pen. 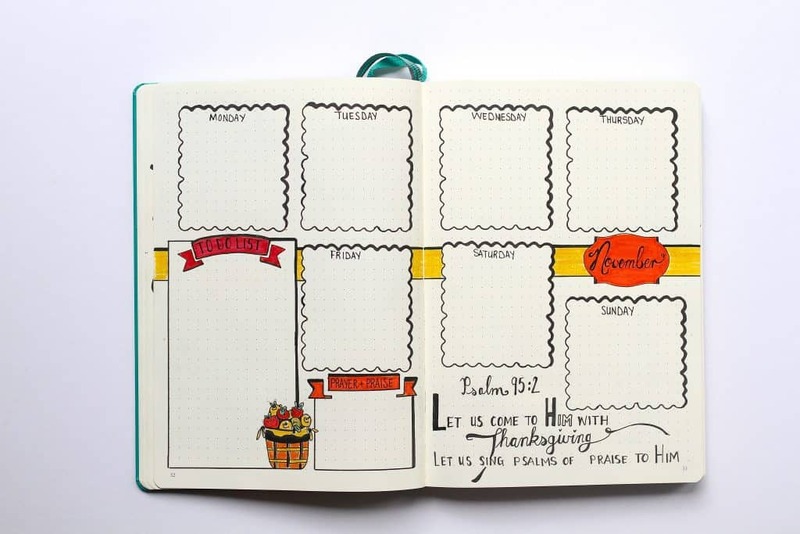 Many people refer to the bullet journal is a dot grid notebook or a bullet book so look around for those search terms as well when shopping online. My two favorite bullet journal supplies are of course, my red leatherish Leuchtturm1917 and my pilot G-2 07 which can be found on Amazon too! Just look at the gorgeous layouts you can create with these supplies! As a busy mom, I don’t have time to browse store after store looking for great bullet journal supplies. I love using the power of Prime to get my bullet journal products in under 2 days from Amazon. Oh, we live in a wonderful time! You never have to worry about running out of pretty stickers, colorful pens or the dreaded last few pages of your bullet journal! One of the biggest reasons that I love having random things to decorate my bullet journal with is because some days, I feel more “decorative” than others. One the days when I want to use pretty stickers and have fun with my bullet book look, I can doctor it up however I please. On the days that I’m feeling all “business”, I can’t leave my bullet journal designs as simple or as professional as I want. What other planner out there even comes close to that?! Below are my favorite bullet journal supplies I buy directly from Amazon. Don’t worry…these are perfect bullet journal supples for beginners as well. Once you use them, you’ll love ’em just like I do! Everyone can’t stop raving about these Leuchtturm1917 Notebooks. I’ve always used other notebooks but I’m consistently reading amazing reviews of this book. And at under $20 I think I may just splurge and buy it for myself. If I’m going to be taking this bullet journaling thing seriously, I should use the right products, right? And I plan on keeping my bullet journal for years, so I want the paper quality to be amazing. While you may be tempted to buy cheap supplies for your bullet journal, think long-term and how it can benefit you. Your bullet journal is like your daily planner, diary and creative thoughts all rolled into one. When used that way, it’s a momento that you’re going to want to hold onto for many years to come. Think about treating yourself as well and buy bullet journal products that you know will last. Here are my favorite bullet journal notebooks. Eeek, get ALL the pens you need! I adore my G2 Pilot pens. They don’t smear, they don’t bleed, they only draw perfectly round circles. Just kidding, that’s on you! But these pens are by far my favorite, you’ll love them too. Trust me, I’ve tried to find fault with these pens…It’s not possible! Oh, these little stickers are adorable! I want to make a tiny flag banner across one of my bullet journal spreads! Maybe my goals page to keep me motivated. 🙂 This will be great to use as place markers and embellishments too! Almost 100 five star reviews can’t be wrong. People love these pens. They are definitely on my wish list – hint hint hubby! If wanting bullet journal supplies as a present is wrong, then I don’t wanna be right! This is such a brilliant idea! I haven’t used stencils since I was in elementary school. And this makes perfect sense. I’m adding this to my wish list of bullet journaling products I want. It’s never too soon to work on my Christmas list Love the little airplane icon – I’ll use that when I go on trips! If you haven’t felt creative in a while, using a bullet journal will change that 100%. As adults, so much time of our daily lives are spent being inside boundaries…and those boundaries can be restrictive and confining at times. But when it’s time to use your own personal bullet journal, there’s no boundaries or rules to follow. At all. Here is a list of my favorite bullet journal stencils! MOST ITEMS SHIP WITHIN 2 DAYS! 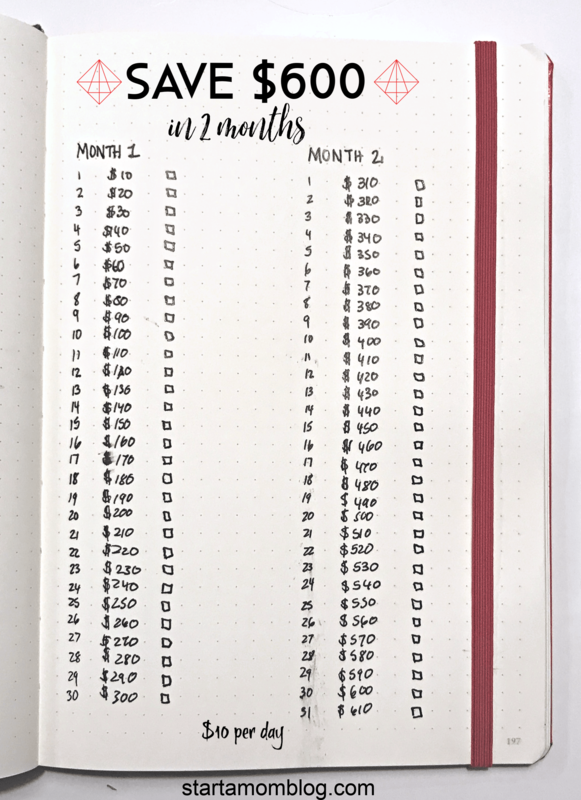 Here is a simple Bullet Journal Savings Tracker I use to save $600 in two months. Save $10 per day for two months, and you’ll have over half a thousand dollars in savings. The tracker shows a running total of your saving efforts if you do $10 per day. This is perfect to start a few months before Christmas! So you can cover all of your bullet journal Christmas gifts easily! Now that you know what bullet journaling is, and now that I’ve shown you all the awesome bullet journal supplies that you can use, it’s time to get down to the nitty gritty of how to get started bullet journaling. I don’t really recall exactly how I started my bullet journal. Maybe it was a blog article or post I’d read talking about it (more than likely, right?!) or something along those lines, but I just knew that once I found about the beauty of the bullet journal that it was for me. Bullet journaling isn’t necessarily for everyone. Some people actually don’t care for it because they want a little more structure in their day-to-day planning. And that’s okay. I get it. The format, the pages and days labelled in a way that everything has its own nice neat little area…I really do get it. Those type of planners may not do well with the freedom of a bullet journal, and that’s okay. For those of you who like a little more wiggle-room in your day-to-day, here’s some simple tips on how to get started bullet journaling. Part of using a bullet journal is that your mind needs to be open to being creative. If you love to doodle, doodle it up! Have fun writing on your bullet journal pages or drawing pictures next to events that you’re excited about! Once you start writing in your bullet journal, you’re going to be addicted so make certain that you find one that you love and that you want to carry around with you. Like I said above, pens and supplies aren’t really necessary but if you find ones that you love they can help you stay focused and on task. Every time I get to write with my pen, I get giddy and excited about it! It’s like creative something for myself that I know I’m going to love! 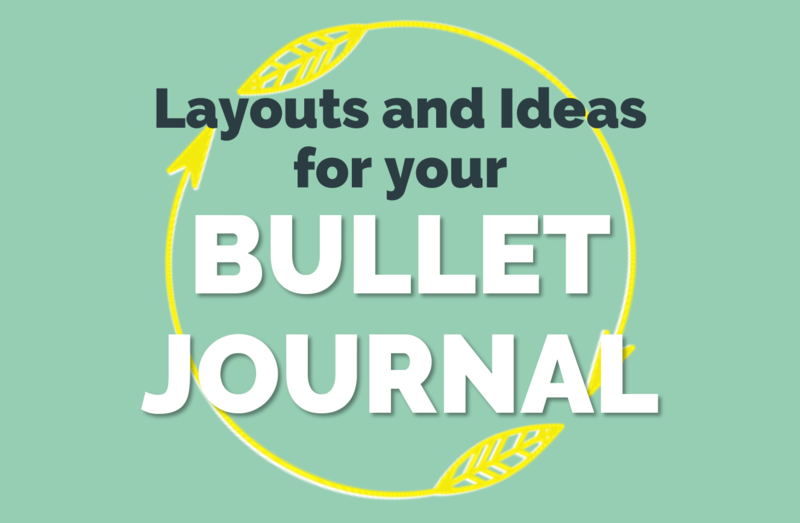 A bullet journal is a combination of so many things while still allowing you to be creative. Remember…no rules, only creativity and planning allowed. What is the difference between a journal and a bullet journal? Great question! They’re both similar in a lot of aspects, right? Both have room for writing thoughts, drawing pictures, etc. But the main difference between a journal and a bullet journal is that a journal has lined pages while a bullet journal has more grid pages. A journal is where thoughts are written and a bullet journal is where thoughts can be drawn, dots can be connected and calendars can be drawn to showcase anything and everything that you want. What is a dotted bullet journal? A dotted bullet journal is just like it sounds…Pages and pages full of dots. Trust me on this one…dot bullet journal are so much fun. There are so many things that you can do on your own with dotted pages! Connect the dots, use the dots to draw fun and cool items, create your own funky calendar to keep you on track…the list goes on and on. A dotted bullet journal is a bit different because every page is covered in dots where some other bullet journals have blank pages to be able to write and create. What do I love most about using a bullet journal? Remember earlier when I said that I had a reason that I love using my bullet journal that I couldn’t share with all of you? I’m ready to share it with you now, my friends! The reason that I love using my bullet journal is because it’s all about me. Before you question…let me explain. I’m a firm believer that all of us are special and unique in our own ways. As we get older, sometimes it can be harder for those ways to shine through with everything else going on. This is why I LOVE my bullet journal…because it allows me to put anything and everything that I LOVE and WANT inside of it, and it’s all mine. Do I want to spend the day doodling about ideas to start a blog? I can do that in my bullet journal. What about if I want to spend all day looking around online and writing down the best blogs to follow broken up by age? Easy…done and done. It’s entirely possible to say that you create a bond with your bullet journal because you’re ultimately writing down all the things that you love and admire about yourself and your life! What do you think? Would you love having a bullet journal that allows you to showcase you and everything going on in your mind? Thank you for the bullet journal ideas. I am thinking of starting a bullet journal and noting down my month long journey on my blog. Love all your ideas. Thanks for the printable. Thank you! I’ve been using mine and it’s going super well! Just an FYI, the grid dots on the page are not the “bullets” that “bullet journal” refers to. 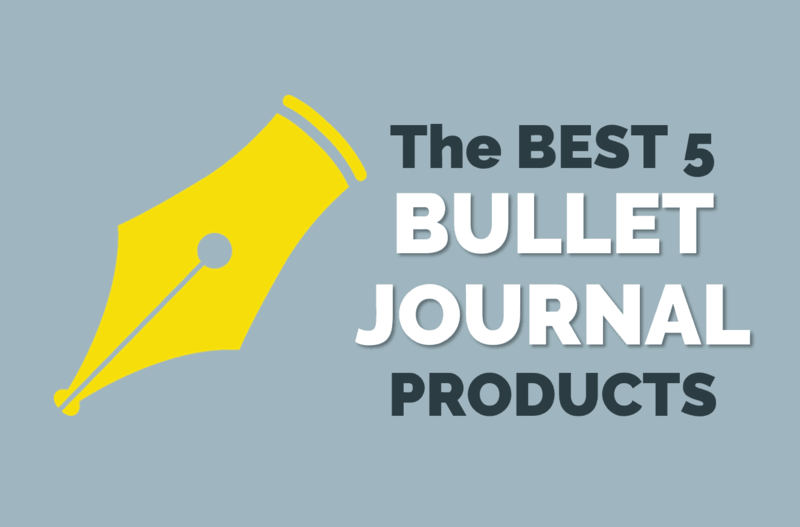 Bullets are the bullet points when you make a list. Love all these supplies! Check out our brand new online journaling shop http://www.doodlyshop.co.uk we believe journaling is good for mental health and want to spread the word, to help others get creative and de – stress.